This was originally recorded in 1994 and was supposed to be an LP on Crypt Records for one reason or another, it never came out. 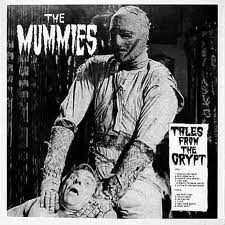 Features a smattering of some of the best Mummies tunes recorded in actual proper studio! Unbelievable upon first listen. Limited edition pressing of 500 copies. European import.